Now the HFA promotion is over until August 2014. This reader can go back to reviewing books. I miss reading. This is a gift to be cherished, an arc coming out in June 2013. I have the honour to read and submit a review. This book is on my treasure shelf, it was a transforming story, and such a memorable one. A definite keeper, and the author is in my top ten list of the year, actually life I believe. 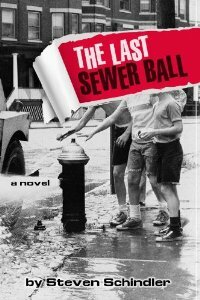 'The Last Sewer Ball' is a 'sort of sequel' to Steven Schindler's cult classic novel, 'Sewer Balls.' 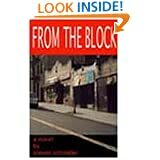 Whitey, Vinny and the rest of the kids from the block come back to life on the stoops, streets, and hangouts of the Bronx in the 1960s. Follow them from 'then' til 'now', as secrets that simmered since childhood bubble to the surface and eventually explode when past and present collide with not so instant karma. This time in book 2, the author goes from the present to the past through flashbacks, with an intriguing spin. It starts at an Elementary Catholic School reunion, 20 years later and the colorful characters all come together to reminisce about the past. The characters- Vinny, Whitney and others explore their lives and experiences as teenagers in the Kingsbridge section of the Bronx. 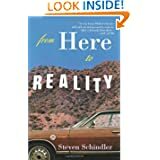 It opens with a witty real comfortable style of writing, about the regrets of his past and present life, and he is meeting in the present with his old neighborhood buddies. 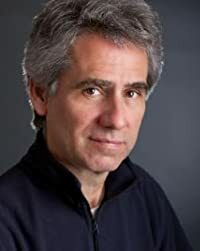 He is embarrassed that his once rich high living life-style ended in divorce, unemployed and he is sleeping on his sister's couch in Bronxville. The descriptive plot and setting had this Bronx native, reliving her teenage years in the Bronx, as an Irish Lassie, who lived with two brothers and a father, all on the road to binging with alcohol and drugs. I was in the midst of the setting, but at the other side of the tracks, 241st and White Plains Road. I was a jealous pre-teen, teenager, as my father was overprotective and I was upset that my younger brother escapes to Kingsbridge and has tales to this day of him and his friends and their zany actions. I would eavesdrop on their conversations, about anything from sneaking off to exploring Vancortlandt Park (Vannie) Park, to hiding in their friends basements and doing guy things, or going to the rooftops to gaze at the stars. My experiences through the character's experiences, I too remember my first kiss and petting with the boys, under the El as the number two pulled in to 238th St and White Plains Rd station or behind the old trees, in the local park. As he described their adventures in the magical lost hikes into the land of mysteries all bored teens find themselves in, as a reader I had to laugh or scorn the hoodlums, just normal guys out having fun. He tells of the adventures of exploring all the hidden coves that young people locate to escape the peeping eyes of adults. Gathering on a hot summer’s day, and the adventures they discover from the homeless bums, the crack addicts to the necking of couples, and the secrets all hidden away until time passes and the truth is brought to the light. Instead of being a camp counselor for a Catholic School, I worked for a Jewish camp in Brewster. As I got half-way through the book, of the Irish antics, loyalty and the celebrations, the wakes, and life in Kingsbridge with all its secrets, I was taken back in time. I was transformed back to my child and teen hood years. My friends, they could have been the characters in the story. Sometimes the memories he penned hit me like a freight train, painful but at the same time blissful, as the train barely hit, as the characters play chicken across the tracks. 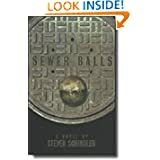 The author was so descriptive and easily weaves a delightful tale with a unique flair which brought the reader thick into the story, as the pages turn it takes a mysterious turn, suspenseful conflict. On the thread as in life, we lost touch with old friends, especially close ones like the friends and the ones who struck by our sides through all the BS of living from family to death, and held our secrets to the grave. The main character wonders what happen to his closest buddy, rumors disturbed him. He plans an agenda to find him and with all his resources he goes on a mission to find his friend, starting at the neighborhood pubs, to continue the intrigue of possible romance with his dream girl who goes with him to go search for him. 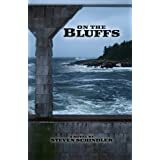 They traces his closest friend life's journey from rumors, lies and truths, to discover the missing piece of the puzzle, and the conclusion was beyond amazing, so spiritual and so suspenseful, it took this reader's breath away, and sent tingling chill up my spine, as well as the moist tears. 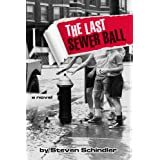 Finishing the story I wanted to go right back in, yet savoring the memories and the tapestry of details this author penned unique style of writing about fictional and non-fictional characters, and their lives as teenagers in the Bronx, I put the book down for another day. The tale spins 20 years later he came back home to be faced with a dilemma, and the crux how will it be resolve?. As a reader I definitely recommend this tale, as this story will definitely hit a chord in everyone's mind, heart and soul, to go back to the past without packing a suitcase as a New Yorker or not. PaperbackOrder in the next 16 hours to get it byFriday, Apr 19. PaperbackOrder in the next 18 hours to get it byFriday, Apr 19. PaperbackOrder in the next 19 hours to get it by Friday, Apr 19. PaperbackAvailable for Pre-order. This item will be released on June 11, 2013.